We were delighted to discover this week that we have been awarded Trip Advisor’s Certificate of Excellence, for superior service at our Visitor Centre in Hawes. Why not visit us and see for yourself? 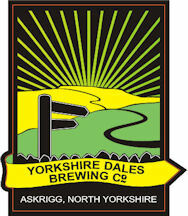 On Wednesday 1st June we will be welcoming Yorkshire Dales Brewery to our Visitor Centre, sampling their award-winning ales between 11am and 4pm. Masons Yorkshire Gin will be joining us at our Visitor Centre on Tuesday 31st May, sampling their locally produced dry gins between 11am and 4pm.